We have had a busy weekend in Bristol at the Bee and Pollination day. 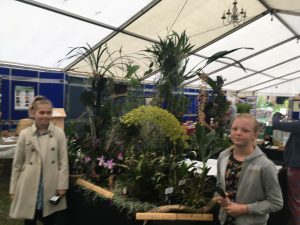 A wonderful display was set up on Saturday by Issy and Rosie and with Ed today and our wonderful parent helpers Gareth, Adam and Agnes and volunteer Zoe we have spent two days making new friends and talking orchids and their diverse pollinators. Students will be working hard with staff at the University Botanic Garden this term to develop new orchid displays in the Botanic Garden’s Sub-Tropical house.